One of the most desirable features in ApprovalMax is the one for handling exceptional cases which demand an on-the-fly change of Approvers. Say you’ve set up an approval matrix based on your corporate policy. But then a document is submitted which should be approved by different people, not those defined in your matrix. It’s not down to a faulty approval matrix; it’s just an exceptional document. What can you do about it? How can you deal with this exception, and keep full audit records? In ApprovalMax, it is possible to change Approvers for a particular request on the fly with just a couple of clicks. 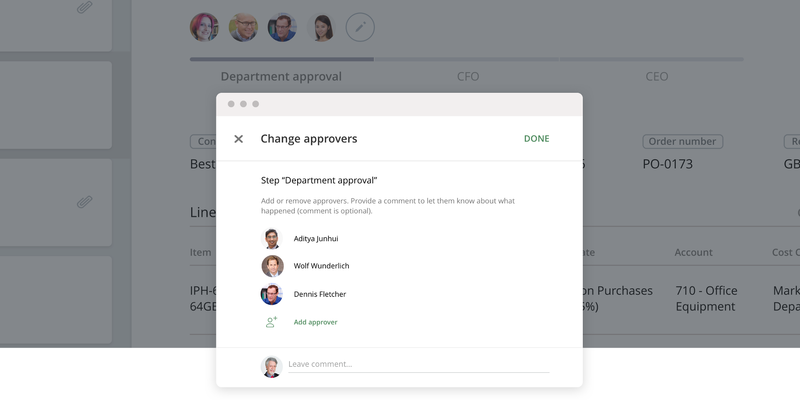 What’s great about the “Change Approvers” feature: you can edit the Approvers for particular requests and don’t have to change the whole approval workflow every time there’s an exceptional situation. Who is allowed to change Approvers? They can add any Approver and remove any Approver. Approvers can add other Approvers from their Company, and remove the ones they have added. NOTE: Approvers cannot remove Approvers that were added by approval workflow rules or by someone else (these are marked with a “Locked” icon). Same as for Approvers: he can add other Approvers from their Company to any step, and delete the ones he has added. Where can I find this magic button and when can I see it? 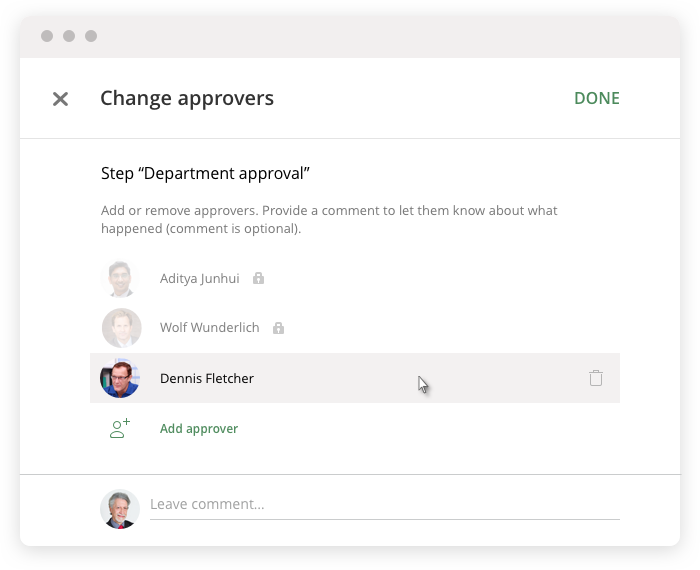 The “Change Approvers” button is located above the workflow, next to the last Approver in a step.